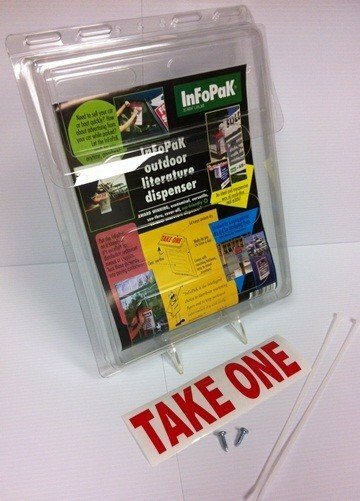 Real Estate Products-Brochure Holder-Outdoor-"InfoPak"-Lightweight clear plastic brochure/flyer holder with flip top. Holds 8 1/2" x 11" brochure/flyers. 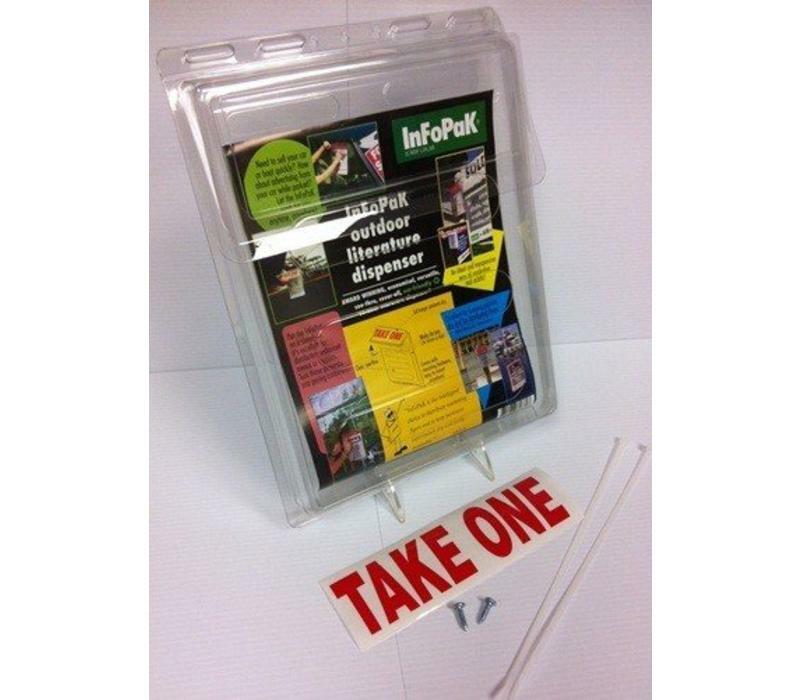 Comes with a "Take One" sticker to attach to the flip-top 2 nylon ties & two wood screws.